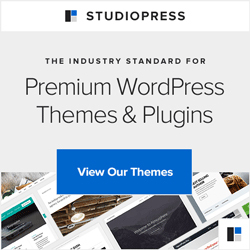 As usual, we’ve waited a couple of weeks before encouraging you to upgrade your WordPress, but by now most theme and plugin developers will have done whatever may be needed for their wondrous tools to work with this latest incarnation of WordPress. Why such caution? Well sometimes they just don’t work together – not often, but often enough to be a problem if there is any incompatibility with the shiny new WordPress and your useful, hard-working plugins. So – we repeat and repeat the process below, it really does make any issues easier to deal with. And we make no apologies for banging on about this – just this weekend one of my most intelligent friends did not do as she has been told and hit that update button without switching off her plugins first – and ended up with a mess to sort out as one of her plugins did not work with the new WordPress. Update any plugins and themes with new versions available (Dashboard, Updates). Backup your WordPress – both the database and the design (we use Backup Buddy now – all taken care of in one). Go to Plugins, Active and de-activate them all – yes, all of them! Now you can “please update now” and update automatically. It will do its thing, placing your site in maintenance mode while underway (which is usually moments – usually) and you should then see “WordPress updated successfully”. Back to Plugins, this time to Recently Active and activate each, one by one to be on the safe side and if you can be patient! That’s it – off you go until the next time! And of course when there is a new version of WordPress issued, there will follow a number of little updates as they iron out any niggles. People complain about this, but hey, do you want your free blog/website software to work efficiently or don’t you! Just a tip about 3.1 – some things are hidden by default, such as the “discussion” option, very important if you are using WP for a website rather than a blog. The “screen options” tab allows you to decide what you see so you can bring it back to view using that. How do you do a webiste for £187? Mine are £250 and I thought that was cheap!!! Babs, I’m so sorry not to have replied before now. I didn’t have the “notifications” switched on so I didn’t know you’d commented. Perhaps we can work together, I’d love to talk more about that.